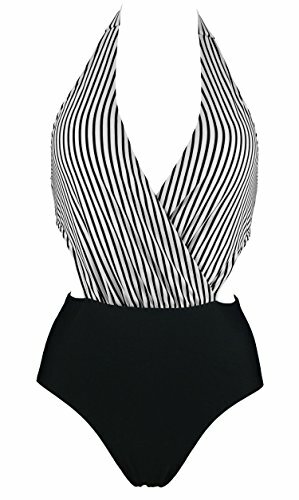 Cocoship Women's Plunging Neckline One Piece Bather Swimsuit High Waist Front Cross Swimwear(FBA);High Waisted One Piece full seat coverage Inspired Design Swimsuit;This chick fashion well-fitting swimwear features a plunging neckline, a front cross design,. If you have any questions about this product by COCOSHIP, contact us by completing and submitting the form below. If you are looking for a specif part number, please include it with your message.